Syrus returns with Armoroid and a new Skill. The main goal of the event is to unlock Syrus if you haven’t done so and obtain his “Fusion Reserves – Roids” Skill. Basically to progress through the Event, just Duel as normal, daily, and earn prizes. New daily prizes happen every day. Duel against Syrus for the chance to get Special cards. Playing in Ranked Duels makes it more likely for Syrus to show up. Duel various characters to get various points which earn you rewards. As you Duel through the Day, your Duels might have a chance of point multipliers. Syrus is the chief reward of the event for those who like to play “roid” monsters. The other reward is Fusion Reserves – Roids, which is designed to make it much easier to summon Submarineroid. 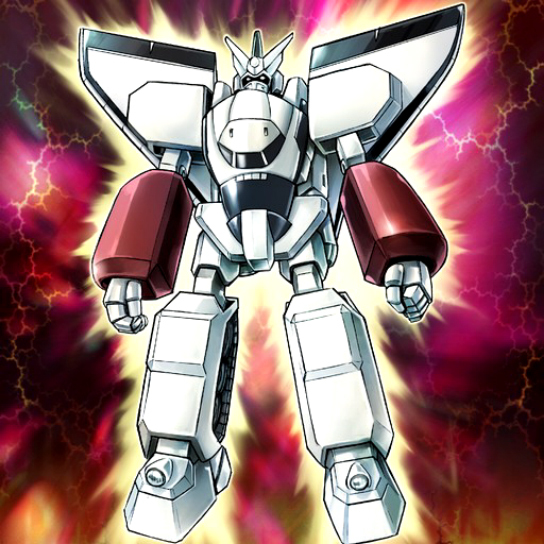 Another big reward is Drillroid, who is designed to drill through your opponent’s cards. The main cumalative prizes are “Jetroid”, an additional copy of “Super Vehicroid – Jumbo Drill”, “Armoroid”, Syrus Truesdale and his skill “Fusion Reserves – Roids”. If you have Syrus, you’ll get a UR Jewel instead.